Born at Winnipeg on 24 February 1892, son of George W. Baker and Jeannie Eastman, named for physician H. A. Higginson, he was educated at the Tuckwell Boys’ School and St. John’s College School. During the First World War, he served in France with the Canadian Expeditionary Force, being wounded in March 1917 at Vimy Ridge. After his discharge, he worked until 1923 as Associate General Agent of the Equitable Life Society. From 1923 to 1933 he was with Sun Life of Canada, serving as Branch Manager at Sherbrooke, Quebec and Minneapolis, Minnesota. He joined Great West Life Assurance in 1933 as Branch Manager and, in 1935, became Manager for the company’s office at Toronto. 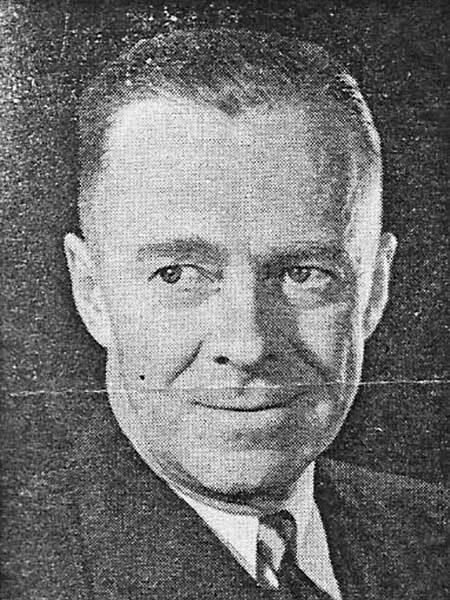 In 1937 he returned to Winnipeg as Superintendent of Agencies, subsequently being appointed General Manager of Great Weste Life, holding the position until his death. He was a member of the Victorias Hockey Club, Manitoba Club, and National Club (Toronto). He died at Winnipeg on 27 September 1946 and was buried in the St. John’s Cathedral Cemetery.